Welcome to the Business Services Special Request List Service. 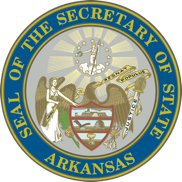 This service allows you to customize and download a list of entities registered in the state of Arkansas. You must be an INA subscriber to take advantage of this service. You may register and choose your method of monthly payment. Accepted methods are credit cards, electronic funds transfer or monthly invoice. This service will allow you to search different entity types, refine your search by city (county for notary public only), date range, status of entity and sort using various criteria. A preview screen will allow you to preview the number of records that match your criteria and then purchase and download the list to your computer. An email will be sent to the address you provide with a link to download the file. The file format is compressed, tab delimited. Your INA account will be billed for the number of records purchased. Customized corporation entity lists are priced by record and include a minimum $10.00 search fee. The $10.00 search fee covers the first 100 records. If your list order is less than 100 records, your list would cost $10.00. If your list order exceeds 100 records, each additional record is $.10. For example, if your list order contains 200 records, your list would cost $20.00. Should you need the entire Business Services database, you may purchase a full data download through the INA FTP site. You must be an INA subscriber to access this service. For additional information please click Technical Assistance.